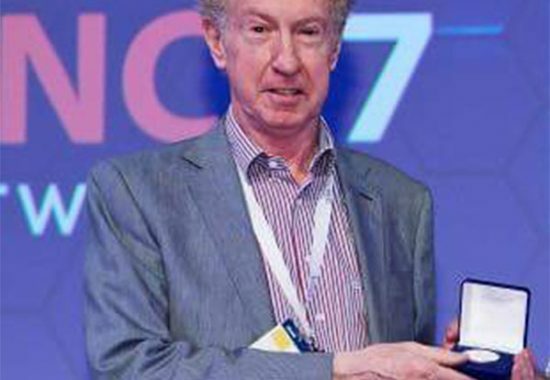 John Boland, outgoing Chief Executive of HEAnet, Ireland’s National Education and Research Network has been awarded the Vietsch Foundation’s medal of honour. The medal is awarded annually to people who have made a contribution of lasting value to the research and development of advanced Internet technology aimed to support science, research and higher education. 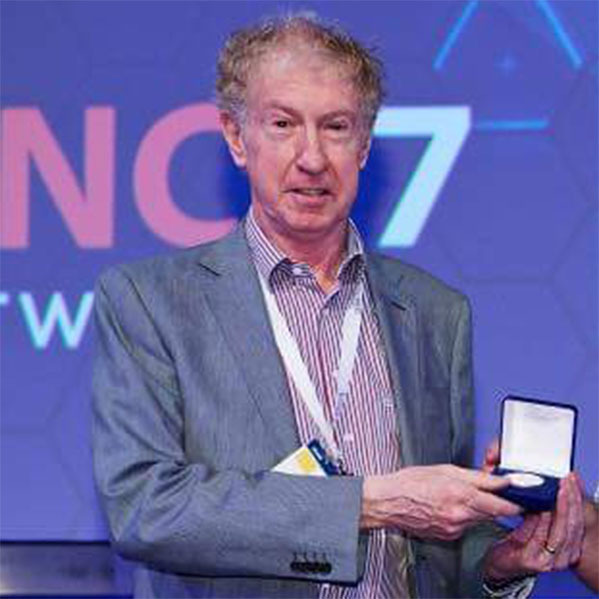 John Boland received the medal earlier today during the opening of the TNC17 conference in Linz, Austria. The Vietsch Foundation Medal is awarded annually to individuals or teams that have developed new ideas as well as to those who have proved their organisational skills and whose efforts have led to the creation of institutions or services of long-term value. Valentino Cavalli, Chair of the Board of Trustees of the Vietsch Foundation, explains the rationale behind this year’s award. “John Boland was chosen from many candidates because of his track record of successful achievements, both nationally and internationally. Thanks to strong leadership and management, he was able to turn vision into stable organisational setup and services, which are successful and sustainable and are due to last for many years to come”. John holds a degree in Electronic Engineering and a Post-Graduate diploma in Corporate Governance. He started his career as an electronics engineer for Marconi Communications in the UK. He went on to be a Systems Administrator for Westinghouse in Australia before joining Dublin City University as the Systems and Network Manager in 1990, where he worked for seven years before his appointment as CEO of HEAnet. In accepting the award, John Boland said, “I have always been passionate about our pan-European project and it is a great honour to be recognised with this award by our NREN community. I am very proud to accept this medal of honour, not only for myself, but for the whole HEAnet team”. From the very start, John had a clear vision of what HEAnet could and would become and he has devoted the past twenty years to translating his vision into reality. With funding secured from Government, he has built HEAnet into what it is today – Ireland’s National Education and Research Network, providing internet connectivity and services to 1 million users across the Republic of Ireland (population 4.7 million). In 2004, John championed Irish Government ambitions to provide broadband to all 4,000 schools in Ireland. Under his leadership HEAnet designed, built, and is still managing the first Schools Network in Ireland. Building on this success, he was a member of Government steering group who implemented 100 Mbit/s connectivity for all post-primary schools in Ireland. John’s vision, to leverage HEAnet’s existing national network infrastructure for the benefit of the Schools Network, continues to deliver significant savings for the exchequer. Never one to stand still, John has continually steered HEAnet into new areas of strategic importance for Ireland’s research and education community. In 2015, he oversaw the establishment of a HEAnet subsidiary company, EduCampus Services, which offers Managed Information Services (MIS); cementing HEAnet’s position as the technology provider for Ireland’s education and research sector. He served as a member of DANTE Board of Directors for six years (a former UK based company responsible for establishing and operating the pan-European GÉANT network for the research and education sector). During this period, he was also Ireland’s representative on the e-IRG Board throughout Ireland’s EU Presidency in 2012/2013. John’s long-standing involvement with GÉANT (the leading collaboration on e-infrastructure and services for research and education) has contributed to his success in putting Ireland firmly on the map in terms of pan-European networking. As John steps down as CEO of HEAnet after twenty years of service, he leaves us as a valued friend to the community, both domestically and internationally, and he leaves behind a legacy that sees HEAnet as an exemplar to any NREN worldwide.